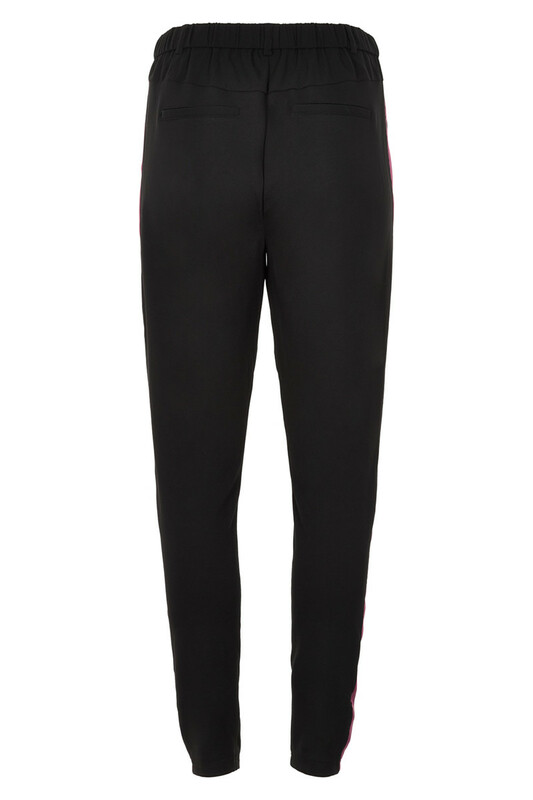 The well-known Sarah Pant from Culture here available with contrast tape down the leg. 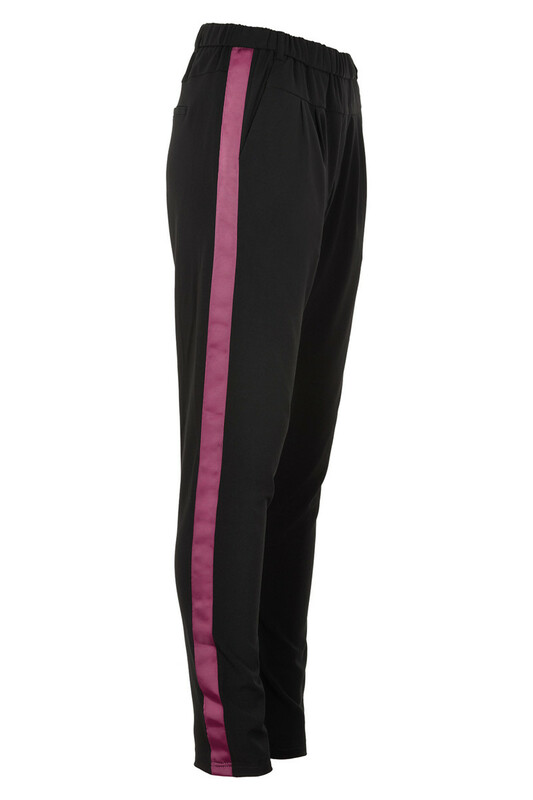 The pants has a loose fit with elastic waistband. 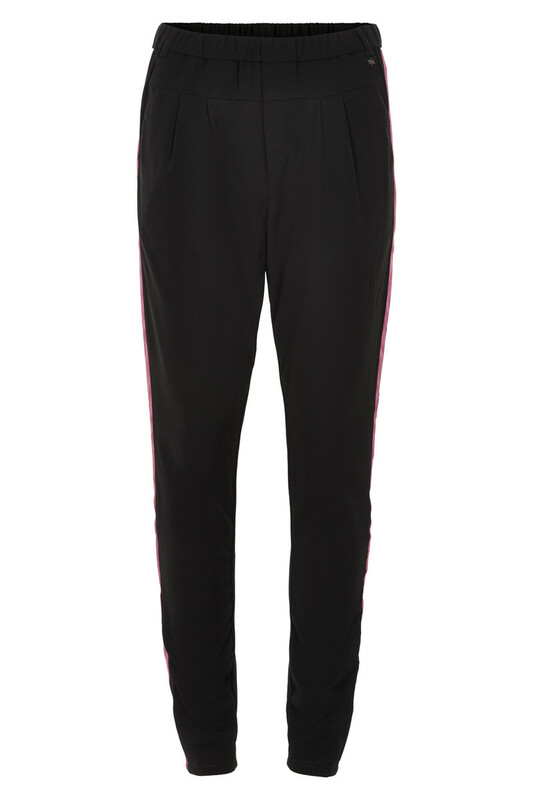 Really comfortable pants with good fit and narrow legs.